Dual Group One-winning sprinter Vega Magic (r) will be aimed at the Newmarket not the All-Star Mile. The Lindsay Park team has ruled Vega Magic out of the All-Star Mile to concentrate on the Newmarket Handicap. The 2017 Goodwood and Memsie Stakes winner is one of 25 horses the stable nominated among the 130 entries for the inaugural $5 million All-Star Mile (1600m), a race for which 10 of the 14 places in the field will be decided by public vote. Voting opened on Monday but senior Lindsay Park trainer David Hayes said on Twitter the rich race is not in the plans for Vega Magic. “Vega Magic will not be competing in the All Star Mile on 16th March 2019. He will be aimed at the Newmarket Handicap on 9th March 2019,” Hayes said. The Group One Newmarket Handicap (1200m) has been won the past two years by Vega Magic’s stablemate Redkirk Warrior who will be aimed at the All-Star Mile. 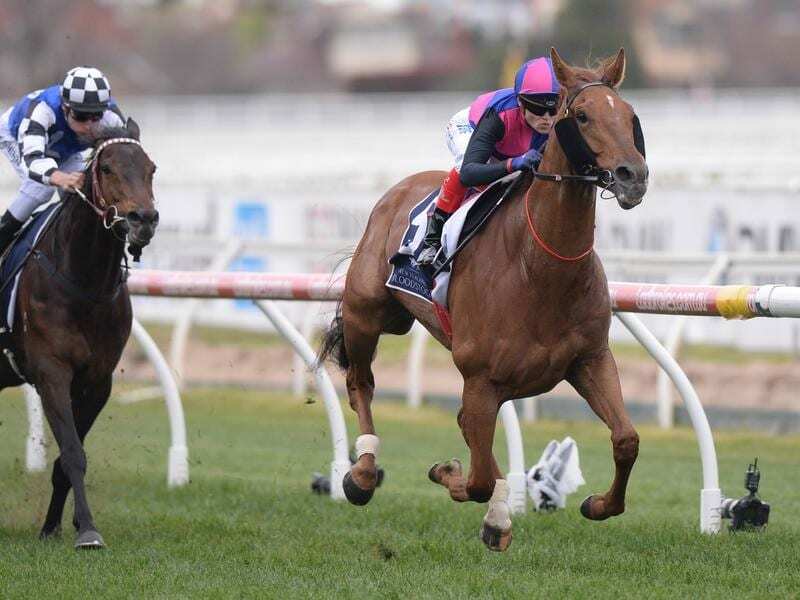 Redkirk Warrior is nominated to make his return in Friday night’s Group Two Australia Stakes (1200m) at The Valley. The Chris Munce-trained former Victorian now Queenslander, Urban Ruler, who has hundreds of part-owners in the Hancox Racing No 7 Ltd syndicate, was a clear leader after the first few hours of voting on Monday for the All-Star Mile spots. Voting runs until February 18.